South Sudan – Black-Belt Diver Paradise! Just like Christopher Columbus, we have also taken to seeing the world and our destination was the deep southern region of the Red Sea. We had heard lots of tales about this place and we wanted to see for ourselves if the amazing stories of the untouched water world were really true. Due to a substantial sand storm, we started our discovery Deep South tour in the North at none other than Shaab Rumi which turned out to be a good thing as our curious hammerhead friends surrounded us once again. 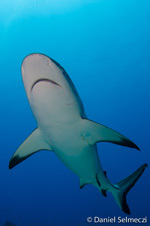 Leaving the hammerheads behind, we were able to leave for the South, hoping for the best. The winds subsided somewhat but not entirely but this did not hinder our proceedings toward our destination. And in the end, we were able to fulfill the entire planned itinerary! Our second (2-week) Deep South there went without a hitch. 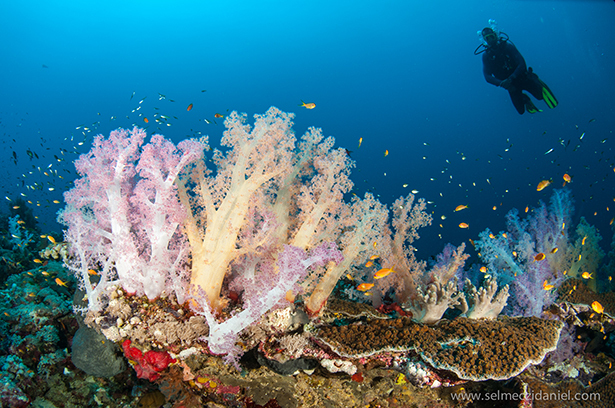 We found marine life and untouched coral reefs unparallel to anything we had seen before. We often stopped at turquoise spots, our curiosity was driving us and we just had to jump and see what was down there! There were times that we spotted a no-name place and we happened to find ourselves in the middle of a school of hammerheads, counting up to 30. It was a big surprise for both of us; they were swimming about half a metre from us and they have surely not seen divers before. 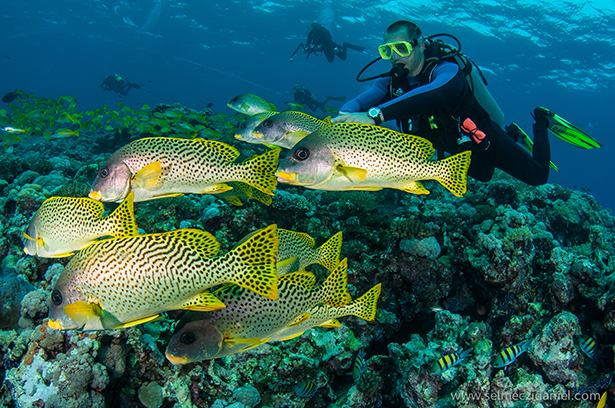 Dahrat Abid, Darraka, Miyum… wonderful untouched reefs, pulsing marine life and plenty to see! There were grey reef sharks, silky sharks, white-tip sharks, barracudas, hammerheads, dolphins, turtles… Every dive was an awesome experience! Our dive suits were left on the boat and we wore only our shorties in the 30-degree water. Aside from Andromeda, no other boats were to be seen during our second (2-week) tour. Posted in Blog, Latest newsTagged 2 week, deep south, diving, liveaboard, sudanLeave a Comment on South Sudan – Black-Belt Diver Paradise! The water temperatures that were once 25C in February, have now become 29C and the air temperatures have also increased by 10C. Due to the lack of any significant winds in Sudan in the past 3 weeks, the water surface is 28-29C now and about 26C at 40m deep. 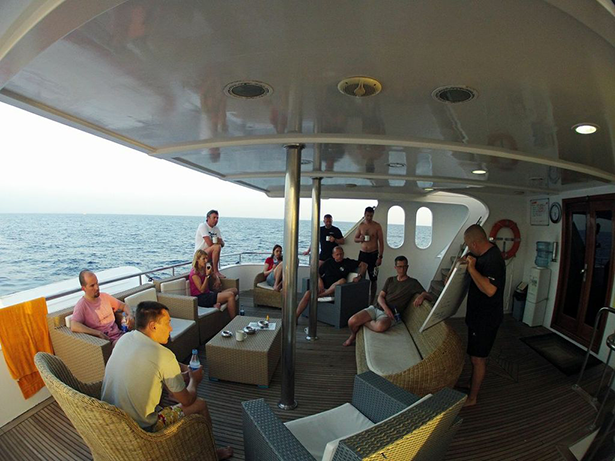 This week there was no full house on the boat, so la dolce vita was in full swing. There are only a couple of weeks left and we are closing the season with a big bang – our 2-week Deep South Sudan safari! There are still a few places available, so join us! A new week, new hopes. We will be back next week again and let you know what we will have seen. A perfect start in Sudan! Fish parade in the month of the Pisces! 1. That’s right! 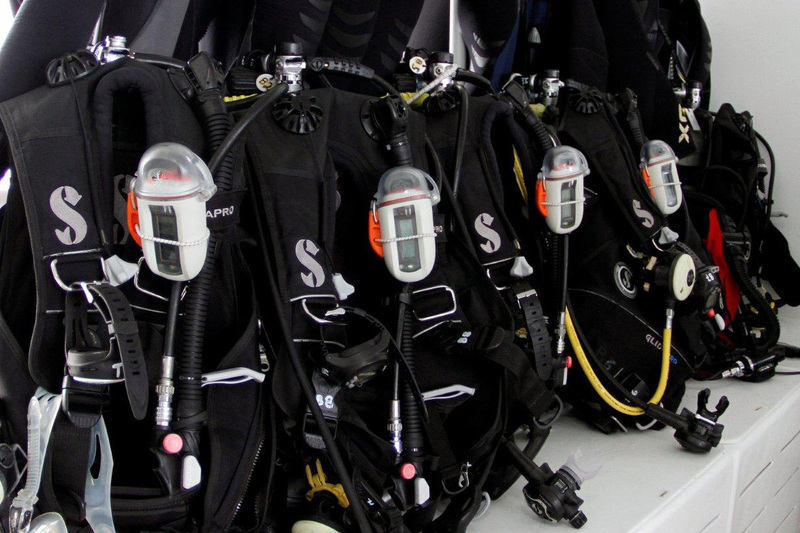 Our divers’ safety in the water is ensured by our Nautilus Lifeline diver search and locate system. 2. Another crazy thing – we have a unique shisha room waiting for our guests where complimentary shisha and coffee is served. 3. Our uniquely designed pretty claret coloured boats have charming honeymoon suites – not to miss! 4. In the spring of 2014 we are awaiting our guests already with TWO boats in Port Sudan- woohoo! 5. Our guests may fly to Port Sudan via Cairo or Dubai. 6. There are free WIFI services onboard (with 3G coverage, of course). 7. 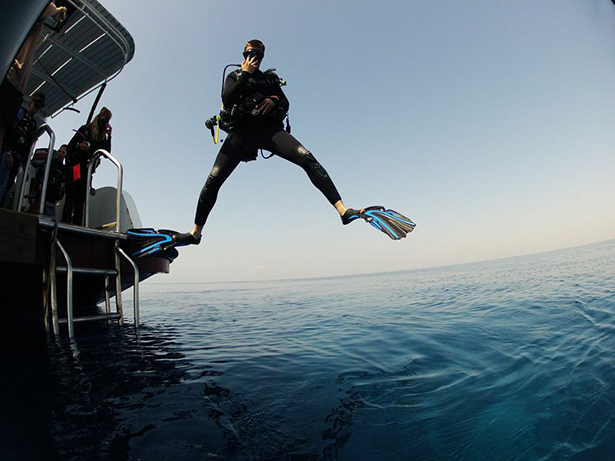 Our daily offer is also quite hefty – we offer at least 4 dives every day (except for the first and last days). 8. This is sensational too! 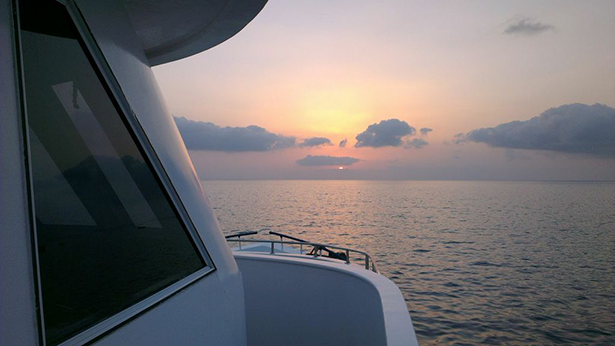 – our most northern dive site is at Angarosh and the most southern site is near Eritrea! Have you looked it up on the map yet? 9. And another specialty of our – our guides communicate in Italian, Russian, English and German, besides Arabic and Hungarian, of course. 10. 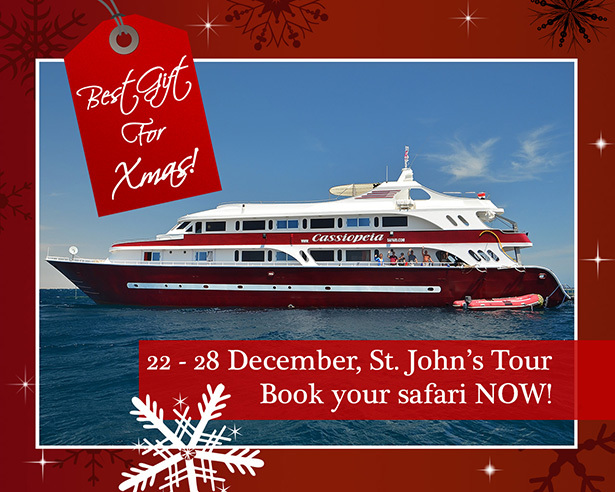 An exciting event approaching – our latest offer, our 2-week tour to the Deep South which will include the absolute best dive sites from Port Sudan all the way to the Eritrean border. 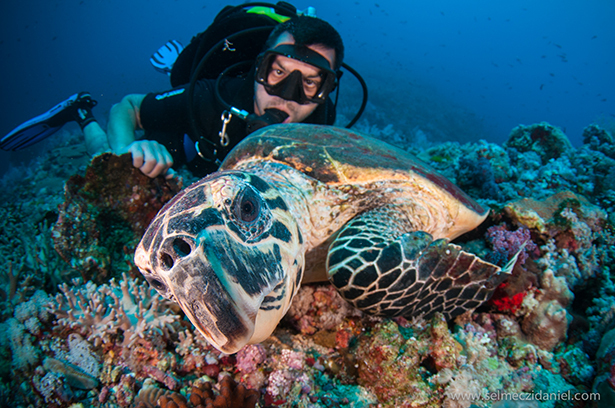 +1 No scams, no gimmicks – we do not charge extra for the dive sites! Are there any real reasons why not come to see us in Sudan? We don’t think so. So, how about it?